As it turns out, we might just be blessed with another record from Blood Orange, the brainchild of virtuoso musician Dev Hynes, sooner rather than later. Taking to Instagram, the British singer-songwriter teased a clip featuring previously unheard music, captioning the post with a not-so-subtle hint that his fourth album utilizing the moniker Blood Orange is (likely) well on its way. Although the update remains open-ended, with Hynes simply writing, "Album... 4(? )," the teaser was definitely enough to inspire fans to wile out in the comments section. Back in October, the multifaceted artist revealed that his album was about "78 percent done," with this latest post leaving fans wondering if he's now that much closer to polishing up the project. His latest as Blood Orange, Freetown Sound, was released in 2016. 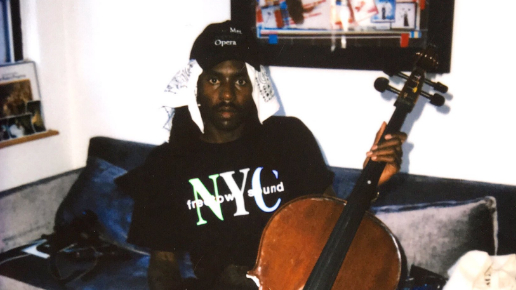 Check out Blood Orange teasing some new material in the clip below. Blood Orange says new album is "78% done"